Trotskyites, in order to discredit Stalin, have made several serious allegations. These of course began with Trotsky himself, as he jockeyed to gain control of the CPSU(B) after the death of Lenin. One of the most influential distortions of the truth has been Trotsky's claim that, before his death, Lenin had warned the party that Stalin should be removed from party leadership and replaced by Trotsky. 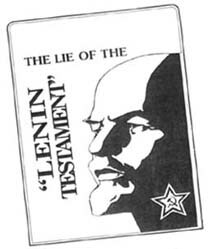 This lie still has currency, and is referred to as the so-called Lenin Testament. It is accompanied by the claims that Stalin subverted Lenin's plans for the party, and acted with gross megalomania. We will examine this spurious claim in detail here. Three recent articles when taken together, we argue, will allow us to do this. These articles should force the unbiased reader to reject the Trotskyite claim. Northstar Compass feels that it is necessary to present the real facts regarding these documents. The documents have circulated now for over 70 years, and have been promoted, circulated, falsified and used as one of the main weapons against the USSR, Stalin and Socialism. This particular lie, the so-called Lenin Testament, has been published in practically all known languages of the world. It has been well-nurtured, affecting numerous communist and progressive movements in one form or another. The dissemination of the lie was part of a conscious attempt to defame Stalin and the development of Socialism In One Country. This book of 90 pages was never published in English before and is an essential document for those who for over 60 years had nothing but vile and terrible accusations heaped on the grave of J.V. Stalin! In this book, the veteran bodyguard to Stalin presents his thoughts, that completely differ drom the present calumny about the personality of Stalin. Rybin has the right to set this part of history straight as an eyewitness and in daily contact as a bodyguard to J.V. Stalin - a man whose many facets of his life we have not been privy to before. Read the eyewitness reports about the Kirov murder, about the leaders that surrounded Stalin, about their attitudes, their behaviour and their cunning overt and covert actions that eventually brought down the Soviet Union temporarily. How did Stalin die? What did Khrushchev, Malenkov and Beria do during the last hours of Stalin's life? Before you there will appear a different person, very modest in his personal needs, considerate, demanding and a strict father to his children. He was a courageous leader and a talented commander. Documents contained in this 280-page book were never before published in English. This book contains materials from the archives of the NKVD-KGB, the Central Committee of the CPSU and from the personal archives of J.V. Stalin. If you want to get the historical details that are now available, they will throw light on the present situation in the former USSR that you will be amazed at. 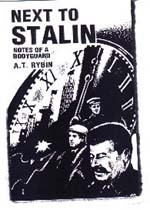 In order to understand the present counter-revolutionary events that transpired in the USSR and other socialist countries, you must read these materials! The question that you will ask yourself after reading this intriguing book is: "Why were these documents kept secret for 40 years?" The answer will come to you soon enough, as you go through the pages of this book. Was Nikita Khrushchev's Son Shot? 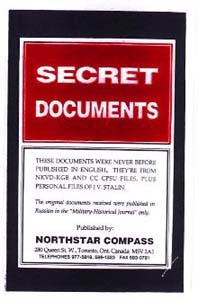 All the documents were translated from Russian into English by Michael Lucas, President of Canadian Friends of Soviet People and Editor of Northstar Compass. The book was edited by Professor Muchael Ukas, Vice-President of the Canadian Friends of Soviet People and Member of the Editorial Board of Northstar Compass. Every reader of Northstar Compass has read analytical and newsworthy articles written by Professor Herasymchuk from Lutsk, Ukraine, during the last 4 years. His articles are read now in 61 countries of the world. 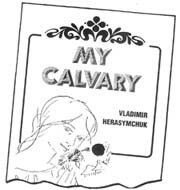 Now at last, the book of poems called "My Calvary" is off the press, thanks to a very generous financial gift by one of our readers in the USA, who wants to be anonymous. These poems were translated into English from Russian and Ukrainian by Michael Lucas, Editor of NSC and published in English, while the second section of the book is in the original Ukrainian and Russian languages - for those who can read the Cyrillic alphabet, this book will be even more enjoyable. Professor Herasymchuk has been extremely generous by offering all the proceeds to be given to the Dr. A.J. Thut Sustaining Fund. He hopes that every member of Northstar Compass will enjoy the 50 page book of poems "My Calvary" since this book contains humor, political satire and love poems. This extremely important publication is written by Professor Herasymchuk, familiar to the NSC readers for his analytical articles. 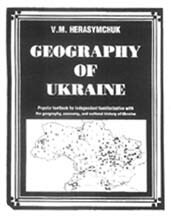 This book is in answer to the constant nationalistic propaganda aimed at splitting the historical ties between the Ukrainian and Russian peoples. With maps, historical photos, graphs and up-to-date information on the present situation, this publication is a must in your library. Translated from the Russian by Michael Lucas, Editor of NSC, and with help from Professor Michael Ukas and Alex Sturgeoff, the publication is published on a professional level. Price: only $25.00 plus $5.00 shipping (air mail). This publication contains 240 pages of invaluable information! An audio cassette of revolutionary folk songs that made the Soviet people proud of their land and accomplishments. Some of these songs are banned from the airways in the former USSR - but not from the people who use these songs as a revolutionary upsurge in their struggle against reaction and fascism that has temporarily usurped power in the land of the Soviets. A full 90 minutes of Soviet treasures! The tape contains the Internationale and the Soviet Hymn, sung by the Red Army Chorus. We thank Vic Ratsma for assembling the tape. 280 Queen St. W., 2nd fl.